This comprehensive work discusses novel biomolecular surfaces that have been engineered to either control or measure cell function at the atomic, molecular, and cellular levels. Each chapter presents real results, concepts, and expert perspectives of how cells interact with biomolecular surfaces, with particular emphasis on interactions within complex mechanical environments such as in the cardiovascular system. 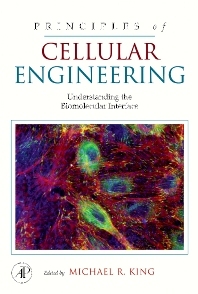 In addition, the book provides detailed coverage of inflammation and cellular immune response as a useful model for how engineering concepts and tools may be effectively applied to complex systems in biomedicine.